"This arm is proving tricky." If you ever fancy yourself capable of creating life, the best case scenario is to stick to the traditional parent route where you contribute to a child. It's not really advised you try to create life by reanimating corpses. For some reason though, people of the past seem pretty keen on the idea for romantic reasons. 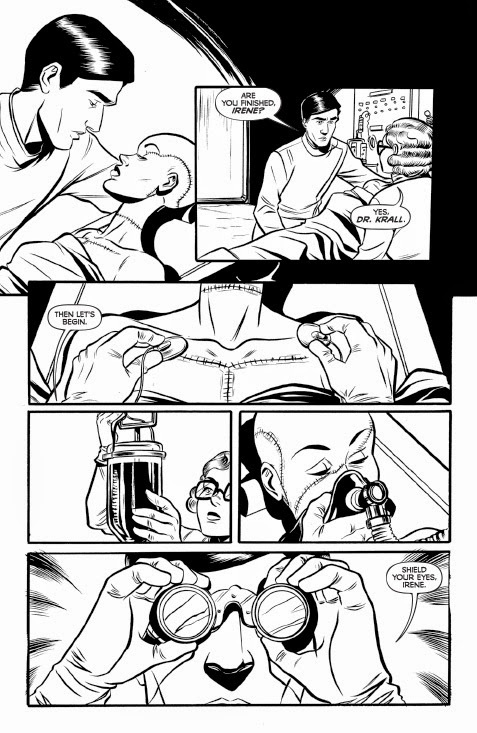 The most famous story regarding reanimation happens to be about Frankenstein and Image Comics has their own version in Madame Frankenstein #1. 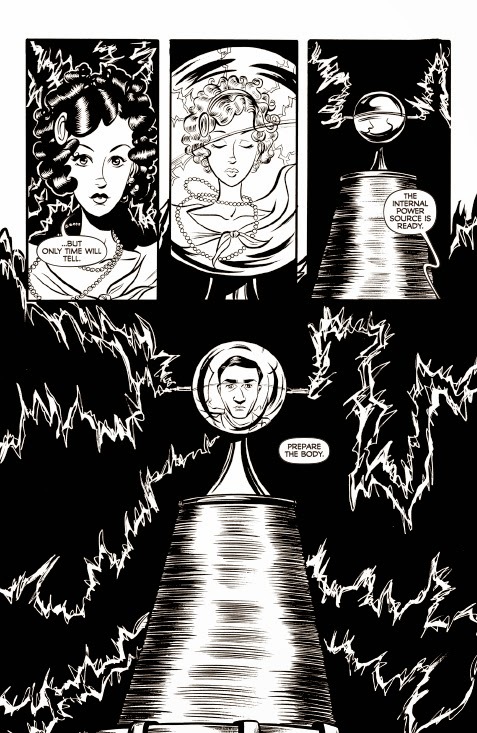 The issue is written by Jamie S. Rich, illustrated by Megan Levens and lettered by Crank!. 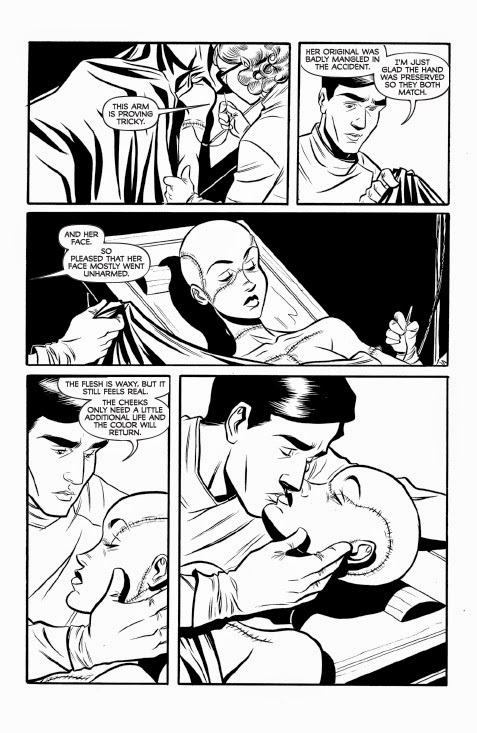 In 1932, Vincent Krall sets out to create his perfect woman by reanimating the corpse of the love of his life. He’ll soon discover, however, that man was never meant to peer beyond the veil between life and death. What he also doesn't realize is that it's harder creating life than he previously thought, leading to quite an adventure in science for him. What follows is a lot of grappling with issues surrounding bringing back a loved one and easing them back into the living scene. Adapting the traditional Frankenstein story is pretty simple, as it really focuses on the core concept that one man decides to exceed his capacity as man and create life. Rich's dialogue appropriately fits the atmosphere, as he places the proceedings in 1932 Boston. There's a good sense of the time in the book, with the characters speaking and appearing within the time referenced. There's also a grand sense of poetry in the script, with Rich tapping into some of the romantic ideals that made Mary Shelley's original work so popular. It fits in the scope of the book and gives the reader a bit more to think about as they're reading. With the book's sense of romanticism comes and equally relevant illustrative style. 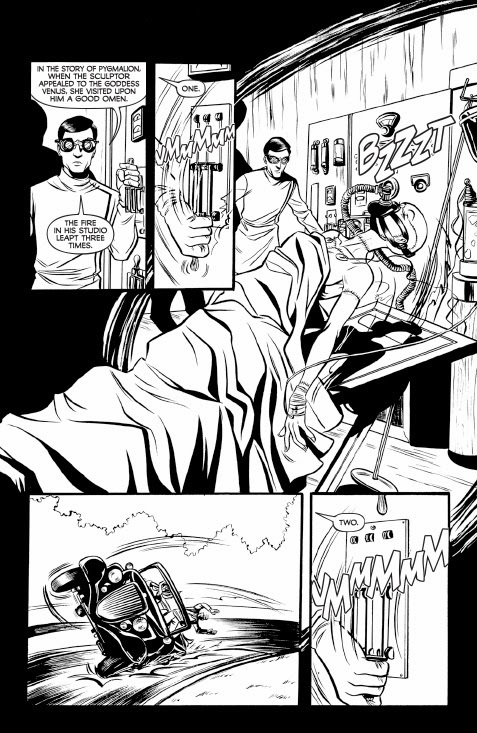 Levens draws a look that is very clean and defined by bold, black lines. 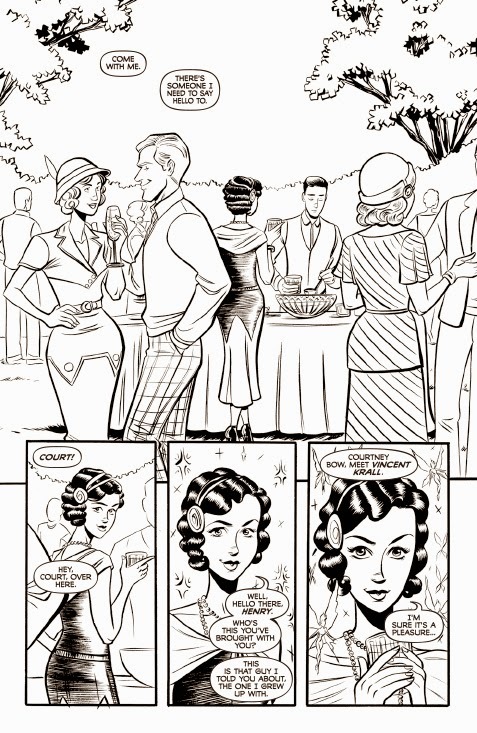 She infuses the work with the look of 1932, with characters illustrated with a sense of being dapper that makes the book feel elegant. Character anatomy is very illustrative and defined, ensuring that the reader isn't thrown off and can find themselves in the era. Even the revival of Madame Frankenstein doesn't give the reader a hulking beast to fear; rather, they're given a look at a woman who looks very similar in walking death as she did in life. Madame Frankenstein #1 isn't a new story by any means, but Rich manages to condense everything about the novel itself into something cleaner and more easily digestible. It's the atmosphere that makes the book enjoyable, as the story seems a little ho-hum on the surface. There are some rather heady philosophical issues at play in the original property and Rich attempts to tap into that somewhat in the book, referencing the formation of beings. Levens' illustrations are very concise and feel elegant for the content of the story, placing the reader in the era and further immersing them in the atmosphere. 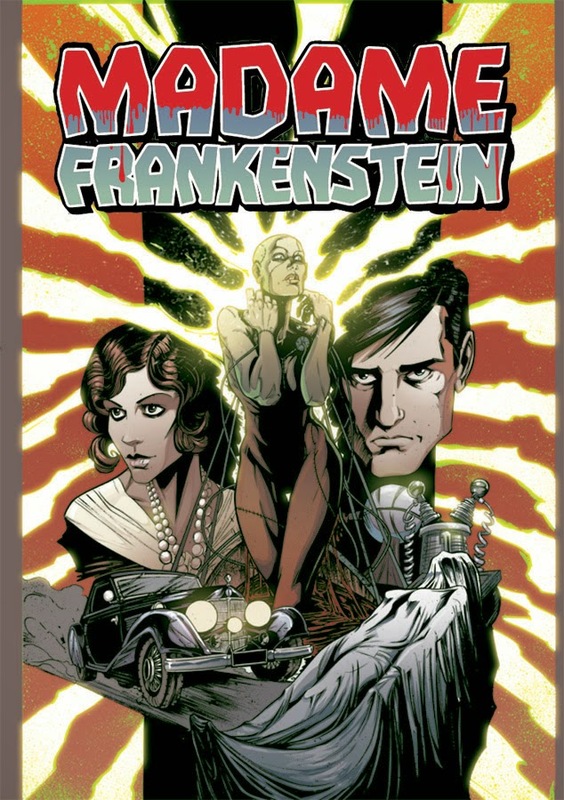 Madame Frankenstein #1 is an interesting adaptation of an old classic that appears to have some leeway as far as which direction it goes next. 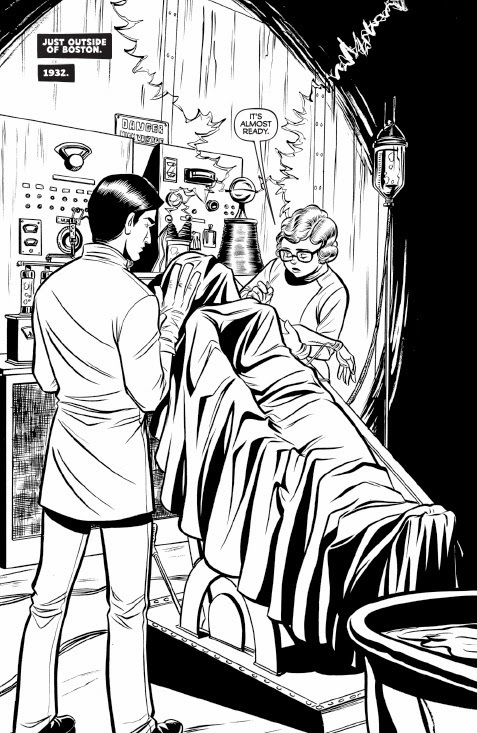 Madame Frankenstein #1 is in stores now with interiors below.